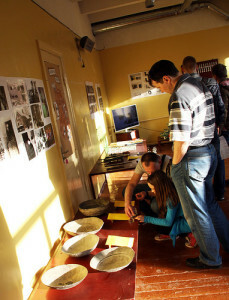 Daugavpils Shot Factory is one of the most outstanding tourism objects in Daugavpils which every visitor must see! There is no similar in Latvia, in Baltic or even in the whole Northern Europe region. This is confirmed by the European Cultural Tourism network (ECTN) 3rd place award “Destination of Sustainable Cultural Tourism – 2015″, also Latvian Tourism Development Agency’s nomination “The Most Successful New Tourism Product of 2013″ and rapidly growing number of the visitors. The historical part of the factory is opened for visitors just few years, here arrive many tourists from the whole world – not only Europe, but USA, China and Australia. Some of them has chosen Daugavpils as the destination only because of the possibility to to visit Daugavpils Shot Factory. View opening hours and prices. 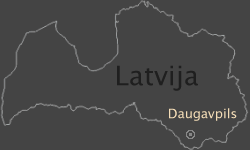 Daugavpils Shot Factory started production in 1886. During just few years it grown from a small manufacture to a notable factory which exported the production to nearby and far lands. The shot tower built on the highest place in Daugavpils became as city’s industrial symbol. Since the beginnings there produce lead shots and buckshots, seals, plugs and radiation-absorbing components. Today the most important par of products are sport and hunting ammunition – 9 type slugs, 32 type cartridges for smoothbore guns and 2 type slugs for pneumatic guns. Daugavpils Shot Factory is the only ammunition factory opened for tourists in the Baltic states. Here it is possible to find out how the sport and hunting ammunition is produced, explore the equipment and machines used today in the past, and feel the unique 19th century industrial atmosphere in the historical shot producing department! There is also a possibility to climb on the shot tower which is the only public accesable panorama tower in Daugavpils. There is possible to see Daugavpils city center and the Churces hill. Also there is a possibility to try out our pneumatic slugs in factory’s shooting range! Welcome to visit Daugavpils Shot Factory!